It'd help if you had some access to a format specification for TIM2 - or, failing that, the tool you're using to convert the TIM2 files to graphics. Both of these are TIM2 files. The ".bin" file is dumped directly from the hex dump you gave me; the ".tim2" was extracted from the compressed data I found in the hex dump. I was a little disturbed to discover the two outputs didn't match. Could you compare them and tell me if that's because they're two different images, or if the ".tim2" file looks messed up? Ah, I see. I only ever tested it in the disassembly so I never noticed that. Thanks for pointing it out, once this is merged Ctrl+F will work in the memory dialog too. Thanks! I really appreciate all the work you're putting into helping me with this. Okay. The problem was that the LZ file was actually encoded as several 0x4000-byte chunks one after another. I've tested the new version, and you shouldn't have any problems with it. Oh man, you're awesome! That works perfectly, thank you!! And thanks to KC as well, for telling me about the GE Debugger in the WIP builds of ppsspp so I could get the data Ryusui needed! Hey, thanks for the tool. I was looking for something like this few months ago. But some files seem to have some problems... like this. 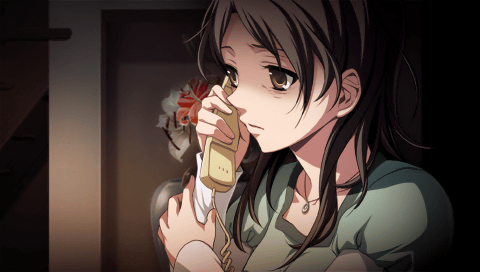 This is from the same Corpse Party. I used tool posted on October 12. Source image here. Unfortunately, there's not a lot I can do without the uncompressed data to compare with - if you can find it using ppsspp's debugger, that'd help immensely. Ah okay. I thought you already have all the info you need and this can be fixed by doing some adjustments. I'll try to get uncompressed data! Hey, I wonder if this is what you need. 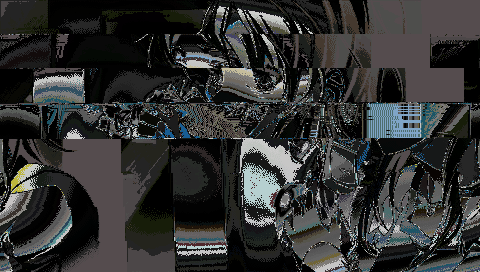 Archive contains KLZ-compressed image, memory dump starting from 1st TIM2 header (and +4MB after last TIM2 header with 3 of them in total) and a reference image. This is a different image from the one I posted before. For the previous one I don't have sufficient savedata. Actually I updated the archive (by the same link). Now it only contains .klz image and uncompressed TIM2 image without all other junk.